Netflix Paid $44M to Stream "The Blacklist"
James Spader as Raymond "Red" Reddington in "The Blacklist." "The Blacklist" is a great show, and Netflix sure does know it. Deadline originally reported that the streaming service bought the rights for the NBC hit from Sony TV for an incredible $2 million an episode — an insane $44 million total. The highest price Netflix had previously paid was $1.35 million per episode for AMC's "The Walking Dead," and $900,000 per episode for Fox's "New Girl." Netflix has gotten pretty friendly with Sony TV over the years, especially after "Breaking Bad" became one of its biggest hits, and Netflix already has dibs on the prequel, "Better Call Saul." 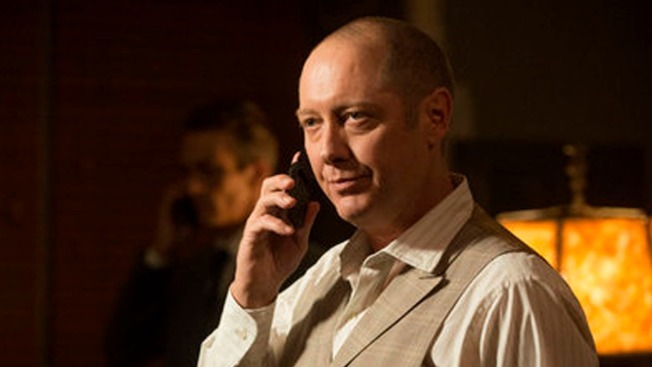 "The Blacklist," which stars James Spader as a well-connected criminal who partners with an FBI agent (Megan Boone) to track down other criminals, premiered to 12.5 million viewers last year, and averaged around 10.5 million throughout its first season. "The Blacklist" returns to NBC on September 22 at 10 p.m., but in the meantime, you'll be able to catch up on season 1 when it debuts on Netflix next weekend.